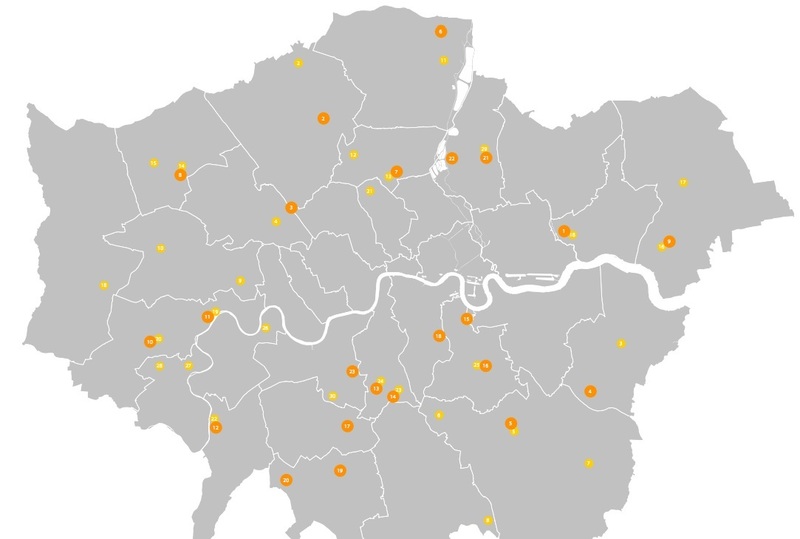 Yep, Greenwich is notable by being one of the few boroughs missing out. It can’t be said that the mayor is favouring Tory boroughs. Labour run Lewisham next door does well with money for Catford and Deptford High Street improvements. I visited a council roadshow 18 months ago in Deptford where they had displays about streetscape improvements, alongside the myriad of other projects underway. I was sceptical it would happen with the financial pressures around but fair play to Lewisham for submitting the proposals and winning the cash. Why Greenwich has not got a penny – well who knows? The fund is supposed to help across London and the importance of helping riot affected areas has been mentioned, making Greenwich’s absence a mystery. It could be because it’s a Crossrail borough. But Bexley and other boroughs with Crossrail do ok. One page on the Mayor’s site did mention £3 million being spent on Greenwich Crossrail sites though I’ve no idea where. If Crossrail is stopping other parts of the borough receiving money it seems unfair. My cynical side speculates whether it’s because they submitted poor bids. I can’t help but think it’s because Greenwich council often just doesn’t seem to know, or care, about creating decent streets in its town centres. Greenwich town centre is nice of course. But they’d have to be completely incompetent to ruin it as it’s a world heritage site, and they wouldn’t get away with it. Elsewhere across the borough it’s often a mess of street clutter. You walk around other borough’s in London seeing welcome little touches and examples of good design. It can be something as simple as combining signs in an attractive way that minimises mess and clutter. And good paving, good lighting, murals and street art. That kind of thing. Greenwich Council trails far behind in that kind of thinking and implementation. The Woolwich squares are a big improvement though the money came from another GLA fund a few years ago. But that’s one small area, tied into the olympics, and Design for London helped advise on the scheme. Surely receiving that money didn’t preclude the rest of the borough from getting any of the £70 million on offer this time. Incidentally does anyone know if the water feature is on yet? It’s not as if Greenwich doesn’t need it. The area around Abbey Wood station is bad and maintenance across Greenwich run parts Abbey Wood has been non-existent for 10 years. Maybe the hope is it will be done up when Crossrail arrives yet it’s still years off, and with the budget pruned what will be left to improve areas around the station? Some cash could easily be spent now on new paving and some trees by the main parade of shops. Plumstead had a bit of money spent 5 years ago but is still grim. The new cycle racks by the station are some of the shoddiest works I’ve seen for a while. Crappy materials used as well. East Greenwich is pretty ugly. There are lots of guardrails that are being removed around the rest of London. Much of Woolwich needs an upgrade. The list goes on and on. I think Greenwich’s priorities can be seen in the fact that they are spending £1.2 million (much of it from section 106 payments from developers) on moving a CCTV control room in Woolwich from a police station to their offices, rather than improving the environment in town centres as almost every other council does with s106 money. Much of Greenwich borough’s town centres are very tired, and little has been done to improve them for many years. Hopefully some announcements are forthcoming. I wholeheartedly agree, Greenwich borough public spaces are decidedly dated and shabby. I’d even say Greenwich town centre,whilst nice, is desperately in need of tlc. The pavements are shabby and a source of constant irritation is the siting of bus stops and street furniture. It seems they only go in the most narrow spots causing pedestrian bottle necks, especially when a school group is on the march.